Home Cure have experienced Plumbers in and around the Crouch End area for your convenience should you need one at short notice. We at Home Cure offer all household plumbing services, whether you simply need a quick fix to a dripping tap, a new appliance fitted or a complete new central heating system or bathroom installation. Confident that we provide high quality workmanship, all plumbing repairs and installations conducted by our plumbing experts are fully guaranteed giving you peace of mind, so if any problem occurs you know you are covered. No Call out charge for booking a Crouch End Plumber just a clear and simple method of charging, see our charges page for more information on charging. 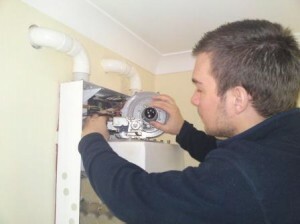 We provide a great service and very reasonable prices for anyone booking a Crouch End plumber. Home Cure has provided Crouch End plumbing services for some time and continues to build its name and reputation in the area. Any Plumber working for Home Cure in your area will be fully qualified and experienced to work on a wide range of domestic plumbing and heating system’s. We can understand how frustrating it is when a plumber doesn’t give a good service or when he doesn’t turn up or turns up late, leaves a mess behind, or doesn’t explain what he’s doing. We will always try our best to keep you fully informed from the moment you book the job till the very last minute when the plumber leaves your property. We can also give you a courtesy call when the plumber is on his way so you need not wait around. And when we have completed the job in hand we will clean up after ourselves.